On Tuesday, leading FX industry website Forex Magnates held its annual awards ceremony at the Grange Hotel in London. All in all, 750 of the most influential figures in the forex industry were in attendance at what has come to be the most important event in the industry calendar, the Forex Magnates Summit, of which the awards are an integral part. 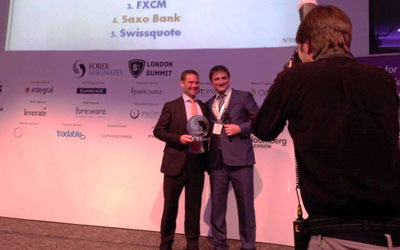 Saxo Bank walked away with the award for Best Broker, and also scooped the prize for Best Proprietary Platform for SaxoTrader. 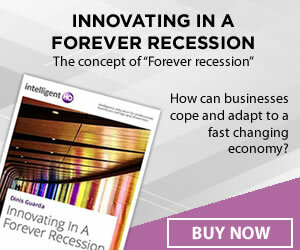 The award was presented by Forex Magnates founder and CEO Michael Greenberg, and was collected by co-CEO and co-founder of Saxo Bank Kim Fournais. Other big winners included Metaquotes, who won the awards for Best Retail FX Technology Provider and Best Mobile Platform, and Citigroup, which took home three awards, although these were distributed throughout their CitiFX, CitiFX Prime Brokerage, and Citibank divisions. The process by which the winners were selected and voted for was a multi-faceted one, taking into account a number of criteria which were explained at length on the Forex Magnates website by Michael Greenberg.